Recipe boxes are not a new concept but they are big business and getting more popular. 2015 was the year to see the market expand with new brands joining the formerly niche market. 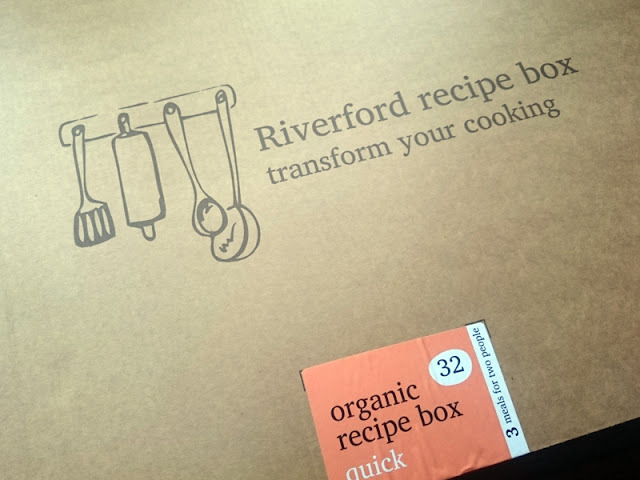 Riverford are another of the veg box companies that have expanded into this area, a natural evolution to their core business I suppose. I've tested a couple of these boxes and what Riverford seemed to have done particularly well is their presentation. The box and contents were neatly arranged with a nifty numbered compartments for small items. Fresh produce was wrapped in a smaller cooled bag, minimising insulation. There did't seem to be excessive packaging either, it was all very concise and considered, and plenty of advice given for returning or recycling used packaging materials. Recipe cards were clearly laid out and easy to follow, although step-by-step images that most competitors go for were not included but I didn't think were needed for the simplicity of the dishes. You can choose a variety of weekly boxes - vegetarian, original or quick meals of three meals for two people (two meal original boxes also available). You can order what you like and when you like so no need to worry about subscriptions or anything like that. Normally I would have gone for the original box, but didn't fancy any of the recipes that week so I'm reviewing the "quick" box. All the recipes are around 30 minutes to prepare which I found was about right for all of them. The first I tried was the speedy ham hock pie. 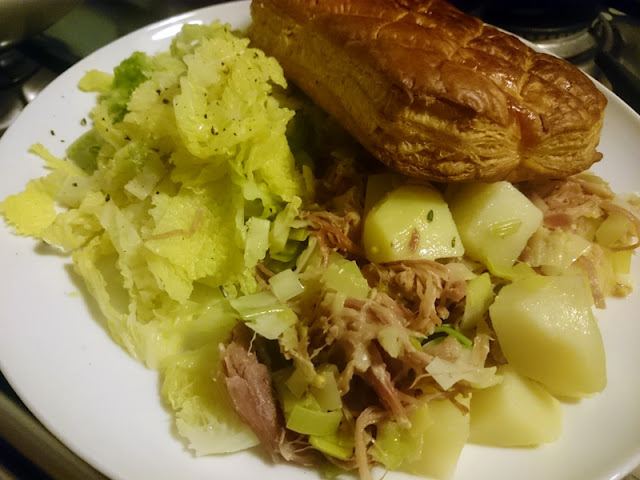 You essentially cook the vegetables, reheat the pulled ham, cook a pie lid and serve with cabbage. I rarely eat or cook pies (my English husband practically did a cartwheel over this meal), but enjoyed it. The meat in particular was delicious. I can give or take the pastry though, the faux pie lid was a bit chunky but as I said, not really for me. 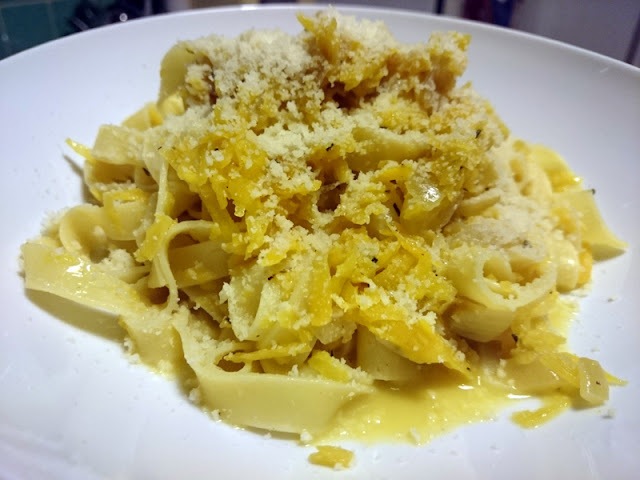 Now pasta I am definitely at home with but I haven't cooked anything like the squash and rosemary tagliatelle before. I thought grating the squash was quite a smart trick to create a quick sauce with creme fraiche, rosemary and nutmeg. I liked this one too, the flavours were mellow and combination really good. I'll certainly be stealing the idea or transforming my next risotto! 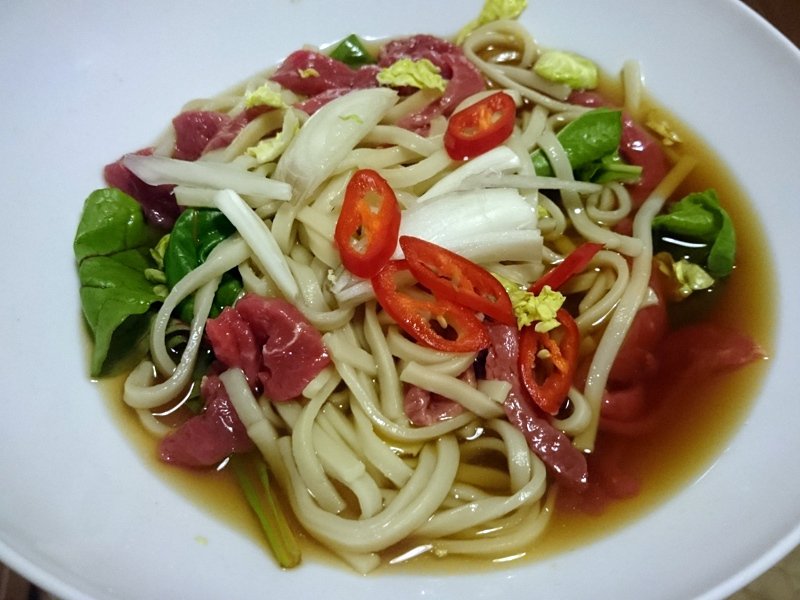 The final dish was one I really wanted to try - Winter beef Pho. Here you can see Riverford's real USP at work - quality. Everything was high end; the stock, the organic sirloin, the fresh vegetables and the spices were really fragrant. I liked the reworking of the recipe to include sprout leaves and tender chard for the winter, a perfect dish on a particularly chilly night. The organic beef was amazing. Thinly sliced, you just needed the warmth of the stock to cook it slightly and was meltingly tender. The biggest issue I found with the recipes was the portions were enormous and I can pack away my food, believe me. The pasta and pie dishes would have each fed three people handsomely. The Pho was the only one that was more appropriate for two servings although I still fed my toddler son in addition quite easily. Now food generosity I have no problem with, but wastage is more of a concern and I hope people wouldn't just throw any uneaten food (but it's quite likely). Not exactly in tune with Riverford's ethos. There were a few ingredients left over too - again, not an issue for me as I'll happily put half a cabbage, herbs or a bit of butternut squash to use but again, some may just throw these or allow them to fester in the fridge. I even turned the considerable pastry leftovers from the pie into two decent apple turnovers. I image people ordering recipe boxes may need help or inspiration with recipes and cooking though. That's not a snide comment, just what I think the target market might be. What I did appreciate was that I felt I was still very much cooking. Sometimes with recipe boxes, a lot of the items are pre-prepared like the sauces so it feels like I'm cheating or serving partly processed foods, but here the ingredients are mainly left in their raw state. I really enjoyed the experience and even if you don't feel you need a recipe box in your life, it's quite fun to try one or two out to shake you out of your cooking rut or makes a really nice gift idea for someone. Also the recipes change quite a lot week by week so definitely worth looking through their site for a week that takes your fancy. I was sent a box to review. Words and thoughts are my own.